Frank and Virginia Williams have donated their magnificent private collection of Lincolniana to Mississippi State University. In addition, they have established an endowment which will provide for curation of the collection and also fund an annual Frank and Virginia Williams Lecture on Lincoln and Civil War Studies at the University. The Frank J. and Virginia Williams Collection contains over 30,000 items, including artifacts, original manuscripts, popular prints, photographs, artwork, the Claude Simmons Collection, statues, broadsides, philately, collectibles and miniatures, numismatics, and more than 12,000 published volumes that are separated into two collections, the Lincoln Book and Pamphlet Collection and the Civil War/Collateral Book and Pamphlet Collection. This copy of the first printing of Political Debates between Hon. Abraham Lincoln and Hon. 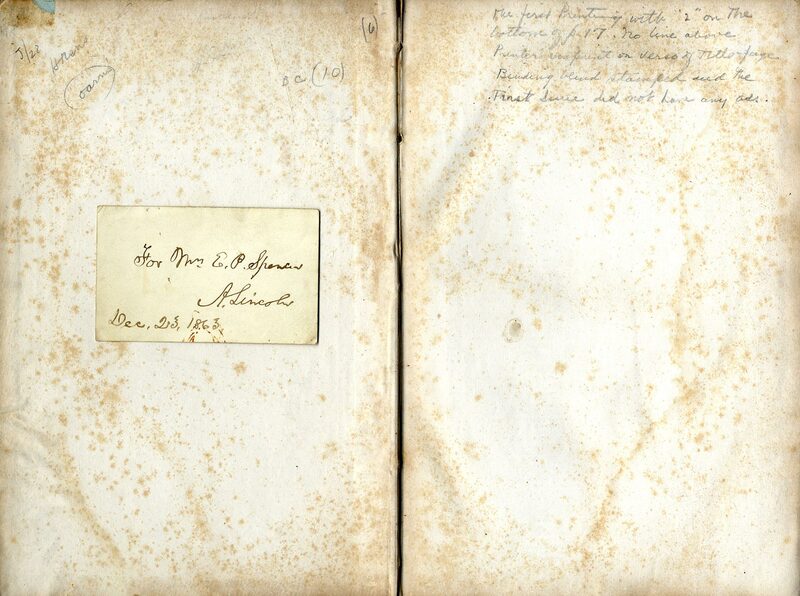 Stephen A. Douglas (Cincinnati: Follett Foster, 1860) has an inscribed card attached to the flyleaf. Although Lincoln lost the U. S. senatorial race to incumbent Douglas in 1858, he was proud of his performance. He collected stenographic transcripts for publication as a book. The Debates sold over 30,000 copies and established Lincoln’s political reputation nationally, enhancing his chances for nomination as the Republican Party’s presidential candidate in 1860. William Pate created this mezzotint engraving of the 16th president by using the background and body from Alexander Ritchie’s 1852 engraving of John C. Calhoun and replacing Calhoun’s head with Abraham Lincoln’s. Judge Williams notes that this portrait, which was displayed in his 6th-grade classroom, was the inspiration for his 60-year study of Lincoln and the Civil War and the Frank J. and Virginia Williams Collection. 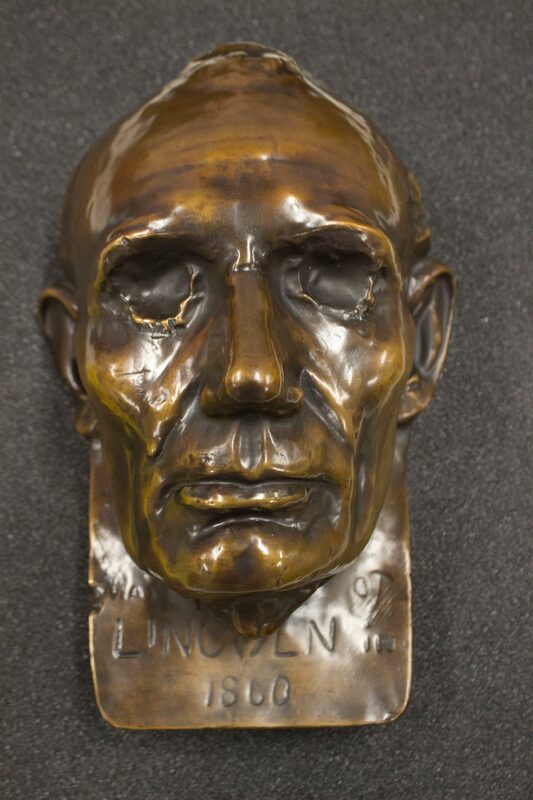 This is a bronze replica of the beardless life mask of Abraham Lincoln created by sculptor Leonard Volk in 1860. He created casts of Lincoln’s hand as well. Volk used the face mask to create full busts of Lincoln, and other sculptors and artists have used this mask for their own work.